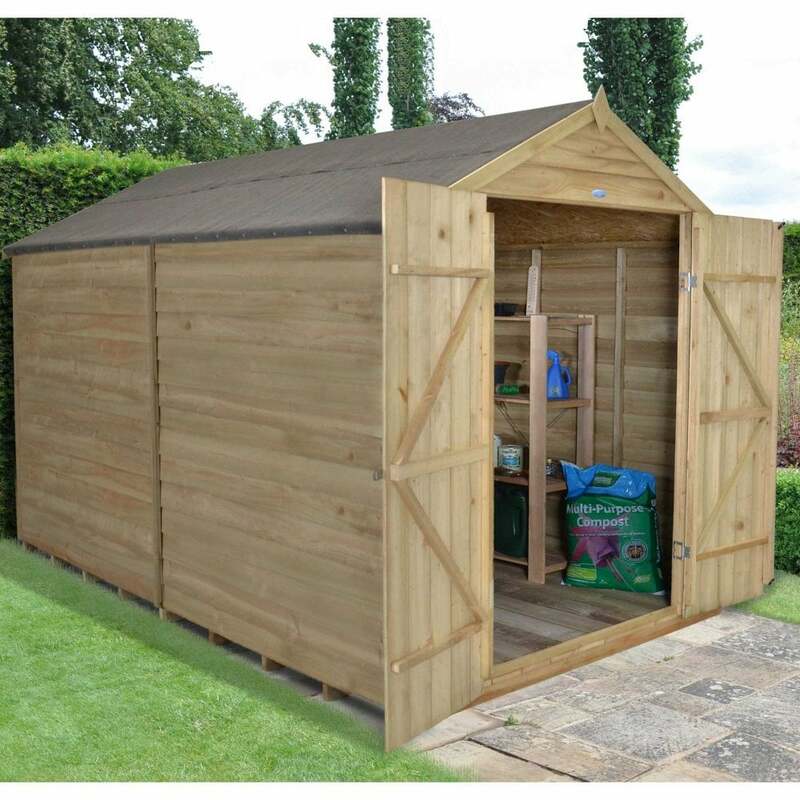 Forest Garden 8 x 10 Overlap Pressure Treated Apex Shed: This Forest Garden 8 x 10 overlap pressure treated apex shed has been designed to be long lasting and durable, the pressure treated timber is perfect if you are looking for a low maintenance approach to garden storage. The floor of this shed consists of tongue and groove boards which are also pressure treated for durability. The roof of this shed is an OSB sheet material which will be covered by the included shed felt roofing material to create a waterproof finish. This shed has no windows for added security and privacy and a double door to the front which has secure hidden hinges and a double Z framing for added strength. There is also a hasp and staple lock included. This shed has an overlap timber construction which is rough sawn and square cut to help the rainwater run off the sides. Your new shed will be delivered in sections which are easy to handle for self-assembly with the included instructions.